A Dundee video games company is set to all but double its staff in the coming year, just over five years after its launch. 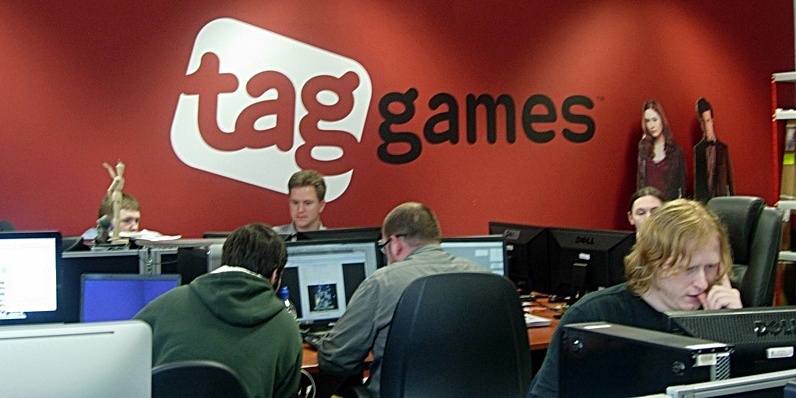 Following recent successes in developing games and applications for the likes of the BBC and Channel 4, Tag Games, based at Seabraes House off Perth Road, is aiming to increase the numbers of employees from 27 to 50 in the coming months. It has moved into new offices to accommodate the growth. After working with global partners such as BBC World Wide, Virgin Atlantic, NAMCO, Square-Enix, Channel 4 and others and developing the 1.6 million-user Car Jack Streets the move indicates a strong intention by the company to become the UK’s leading mobile games and applications development studio. The announcement comes on the back of further good news for the Dundee games industry after Proper Games, based in the nearby Vision Building, received £25,000 from the UK government to help develop its next title as part of the second round of the £5 million Abertay University prototype fund. The announcement of Tag’s expansion plans comes shortly after the company launched its self-publishing arm Tagplay in July. Tagplay complements the Tag Apps sister brand which has completed non-games work for BBC Worldwide, Channel 4, Virgin Atlantic and others. The first release under the Tagplay brand will be Funpark Friends, a freemium social mobile game which encourages players to build theme parks of their dreams. Funpark Friends is due out on October 1 for the iPhone.